to your holiday dessert tray! I've got cookies on the brain. No, seriously...I do! It's time for my annual cookie baking frenzy and I've been busy lining up all the recipes I want to make this year. Along with my traditional favorites, I'm creating some new recipes too. Each holiday season my mom and I get together and bake dozens of cookies to give to friends and family. We each bring a few of our favorite recipes, then share all the cookies that we bake. My kids help too, but now that they are getting older it's not as much fun for them as it used to be. Of course they love to sample the cookie dough and the finished products though! I recently bought a few packages of Nestle Toll House DelightFulls Filled Morsels and developed some new recipes to test out. Have you tried these morsels yet? They are ahhhmazing! Available in four different varieties, the flavor combos are endless! 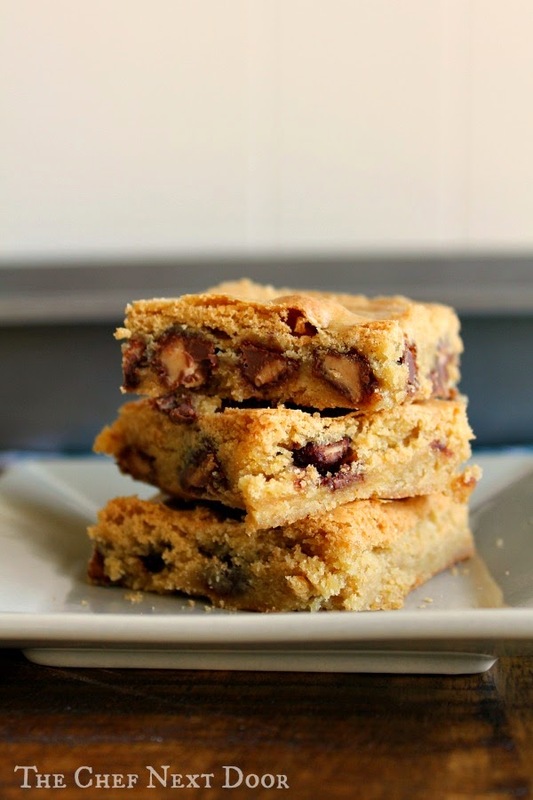 I chose the Milk Chocolate Morsels with Peanut Butter Filled DelightFulls for this blondie bar recipe, and I must say they turned out fantastic! 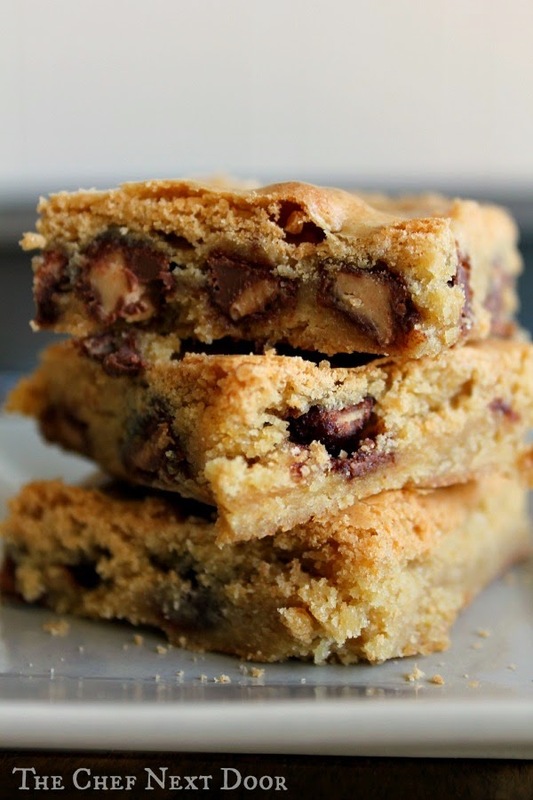 A soft, chewy bar studded with the chocolate and peanut butter morsels is absolutely heavenly. I know these bars will be the perfect addition to my cookie platter this year! Preheat the oven to 350 degrees. Spray a 13 x 9 inch baking pan with cooking spray and set aside. In a large bowl mix together the sugar, butter, eggs and vanilla with a wooden spoon until blended. In a small bowl whisk together the flour, baking powder and salt, then add it to the wet ingredients. Fold in the DelightFulls. Spread the batter into the prepared pan and bake for 20 minutes, or until a cake tester inserted near the center comes out clean. Set the pan on a wire rack and allow to cool completely. Cut into bars. 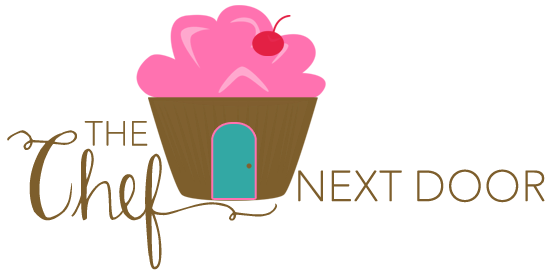 To learn more about Nestle Toll House and find more delicious recipes, visit their website or find them on Facebook!